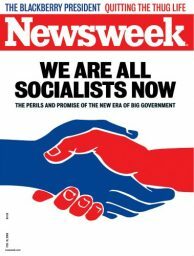 I’m sure you all remember the cover appearing to the left that Newsweek ran after the 2008 victory of Obama. Now after Trump, the dominant meme seems to be, “we’re all racists now.” Or at least those Americans who voted for Donald Trump. There’s been a lot of naval gazing since Trump’s unexpected win. I’ve read a lot of it, both on the left and the right. Some of it is quite insightful, and some of it is dreck. I do not believe the Trump phenomena can be explained by racism, and the people who are arguing that are looking for both easy answers, and an emotionally smug sense of self-satisfaction. But that’s not to say race, or rather tribe, doesn’t play a role. We are programmed to be tribal. Without civilization, we’d be eating the brains of our vanquished neighbors, barking at the moon and throwing virgins into active volcanoes. Civilization is the process of establishing a social order that tames our more basal instincts, allowing us achieve greater things together than we could as tribes. But our instinct is toward tribalism. There is no escaping that. The leftist notion that some people are immune to this is delusional. Not only can everyone be prejudiced against people who are different, everyone is to some degree, even if you recognize it as a flaw you need to work on. There are white people who are racist. There are non-white people who are racist too. The demands of our civilization insist, justifiably, that we put that kind of thinking aside for the greater good. But in order to do that, we need to start with the base assumption that prejudice and bigotry are basic human failings that no one is immune to. Which brings me back to the Trump voter. There are, assuredly, Trump voters who are raging bigots, the same as there are for Hillary voters. Leftists will deny this, and when you press them, you’ll find the answer is they believe certain groups are immune from this kind of thinking, because they have perceived ‘victim’ status. The Trump voter is tired of the progressive left shitting on them all the while telling the world it’s OK, because theirs doesn’t stink. If you ask me, that’s probably the biggest thing that’s powering the Trump Train. The second thing is that the establishment conservative movement allowed the left to convince them that displaying concern about immigration was tantamount to racism. This is nonsense. Yes, there are people who would like to build a wall and deport all the illegals because they are bigots that hate Mexicans. I won’t deny it. But there are plenty more people who fear open borders not because they are afraid of Mexicans as human beings, but because they are scared about how they’ll vote once they gain citizenship. They aren’t racist bigots, they just understand the Democrats end game on this. They’ve been witnessing it for the past decade. Democrats want open borders because for the some reason Trump’s coalition fears them: because they see those votes as a means to give Progressive leftists more power. Bring in large numbers of new voters who will have a rough time getting started in a new country, lavish them with benefits paid for by the taxpayers to ensure they are dependent on that largesse, prevent them from integrating into their new country. Why? Because when immigrants do well, they start voting to keep what they’ve earned and that’s no good. When people talk about the economic reasons for the Trump phenomena, I’m pretty convinced what I described above is the main economic anxiety. The left will argue it’s a racist anxiety, and I think that’s nonsense. Racial division wasn’t quite so bad eight years ago. Now, all the racial division you’re seeing has been ginned up because it would be utterly disastrous for the Dem coalition if we started talking to each other, instead of screaming. Hell, then people might start to realize they get each other. It might start healing and understanding, and we can’t have that. Because their power depends on us being set against each other. It depends on thinking people different from you are monsters. I know a lot of lefties out there who will think this is self-satisfied nonsense, but I don’t think it is. The GOP coalition has its own set of pathologies, but that’s for another post. If, as a lefty, you’re really interested in healing and togetherness, you’ll clean up your party. Throw trash like Bob Creamer to the curb where they belong. Try to be more aware of people using division as a political weapon. Obama was a master at this, and it was horrible for most of the country. Good chance we’ll have four more years of that, only from the right. And who can blame them? They learned from the best! 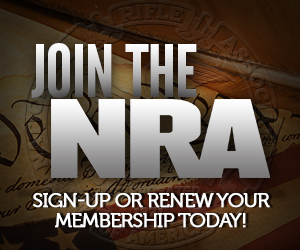 Do you all like Trump better now on gun rights? Holy Crap! Said Friday after the election? How did I miss this? White people FINALLY have permission to fight for their own team, just as every other racial and ethnic group has been encouraged to do, and somehow it’s HATE. In earlier times it would have been plain common sense. Why are we programmed to believe that rooting for the home team is “Literally Hitler”? Why can’t we collectively fight for our own interests as a group while maintaining friendly relations with other groups? What is so horrible about leaving people with the freedom to self-segregate or self-integrate as they choose?